James Awam Jr. is a former Assistant Board Secretary for the Lagos State Internal Revenue Service (LIRS) in Lagos, Nigeria. With experience in banking, consulting and public relations, he offers a diverse background in various career sectors. Working closely alongside his mentor Dr. William Fowler for years, he discovered new passion for public service and leadership which led him to receive a certificate in Public Administration Executive Leadership from Rutgers University. He holds a B.Sc. in Business Administration from Ahmadu Bello University, Zaria (Northern Nigeria) and a Master’s degree in Project Management from The Robert Gordon University, Aberdeen (United Kingdom). 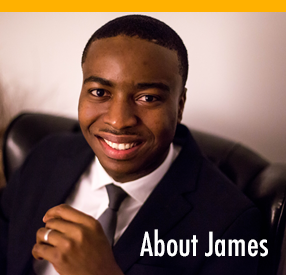 James currently resides in the US and is a member of the Project Management Institute (PMI) and the Chicago Council on Global Affairs.